A device used to change the voltage of an alternating current. A device used to change the voltage of an alternating current. 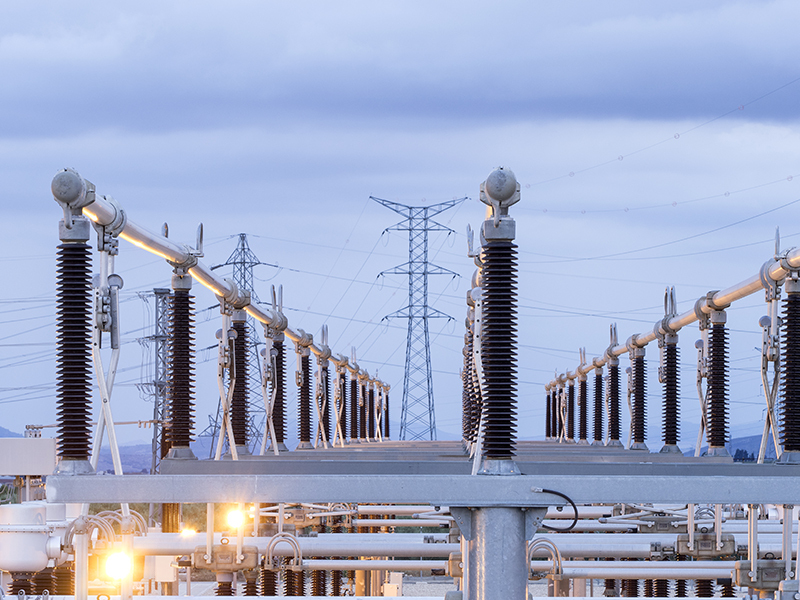 Power grids use transformers to efficiently deliver electricity wherever it’s needed. Step-up transformers raise the voltage so that it can be transmitted over long distances without significant power loss. And then step-down transformers reduce it again so that it can be safely used in homes and businesses. Transformers contain two coils of wire. The alternating current flows through the primary coil, producing a changing magnetic field, which induces a voltage in the second coil. Transformers usually have a soft iron core, to increase the magnetic field strength and make the process more efficient. Step-up transformers have more turns in the secondary coil, causing voltage to increase. And step-down transformers have fewer turns in the secondary coil, causing voltage to decrease. Power grids use transformers to efficiently deliver electricity wherever it’s needed. Step-up transformers raise the voltage so that it can be transmitted over long distances without significant power loss. And then step-down transformers reduce it again so that it can be safely used in homes and businesses. Transformers contain two coils of wire. The alternating current flows through the primary coil, producing a changing magnetic field, which induces a voltage in the second coil. Transformers usually have a soft iron core, to increase the magnetic field strength and make the process more efficient. Step-up transformers have more turns in the secondary coil, causing voltage to increase. And step-down transformers have fewer turns in the secondary coil, causing voltage to decrease.